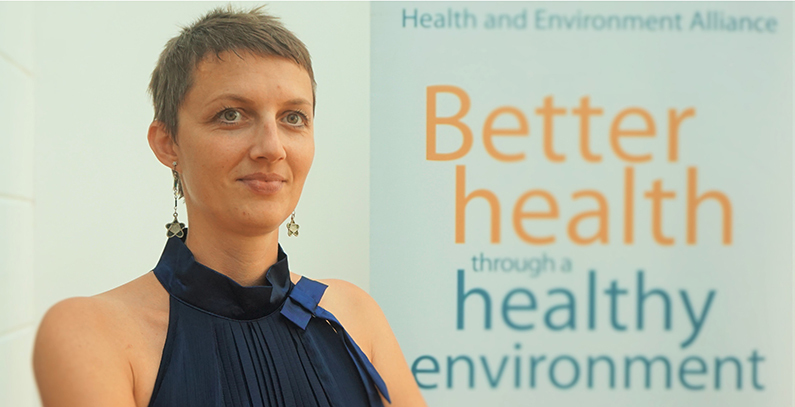 According to the latest report of the Health and Environment Alliance (HEAL) health impacts of coal fired power stations in the Western Balkans (Bosnia and Herzegovina, Kosovo, Macedonia, Montenegro and Serbia) create up to 8.5 EUR billion per year in health costs. 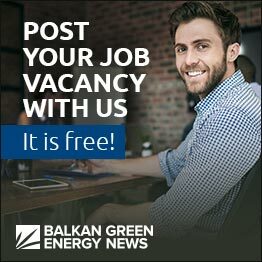 The Balkans region is home to a large number of coal and lignite-fired units and there are plans in place to develop significantly more. The readily available amount of solid fuel in each country is seen to offer some degree of energy independence. 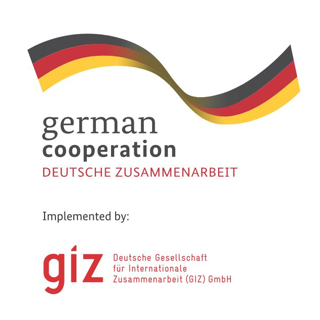 However, this needs to be set against the negative effects of a reliance on coal and lignite in the interests of efficient policy making. 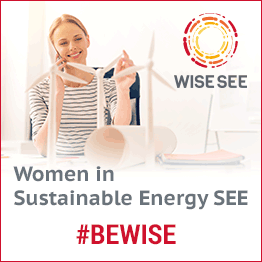 This will assist in making a fair comparison across all possible approaches for meeting desired levels of energy service. 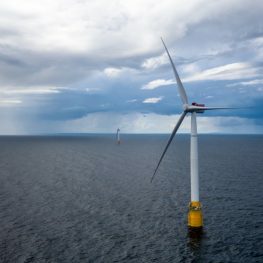 The term ‘energy service’ rather than ‘energy provision’ is used here to highlight the role that energy efficiency can play in meeting societal demand. Energy efficiency measures, including basic insulation and proper maintenance of boilers and other equipment, can pay back costs and reap profits within a few months of installation. These benefits will be most significant for those in fuel poverty. 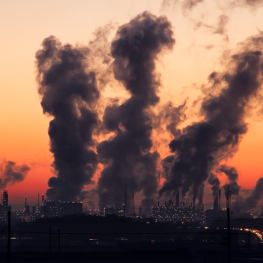 Existing power stations in the region generally operate to low environmental standards and generate high emissions, which are in turn associated with large impacts to health. 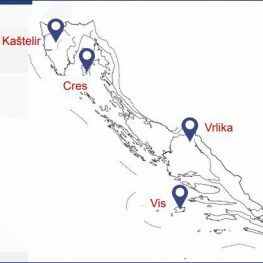 How big are emissions from Western Balkan coal power plants? How big are health impacts and their monetary equivalent? 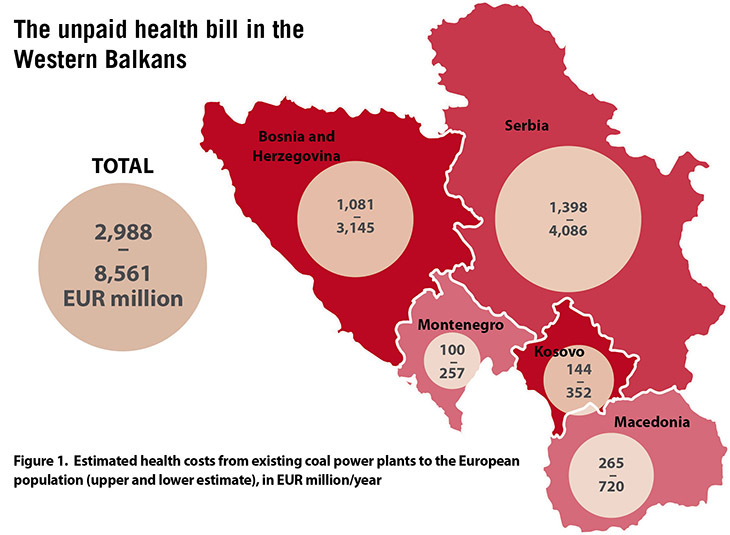 The repot “The Unpaid Health Bill – How coal power plants in the Western Balkans make us sick” puts the costs to health of existing coal plants in five Western Balkan countries at up to 8.5 EUR billion per year (Figure 1). 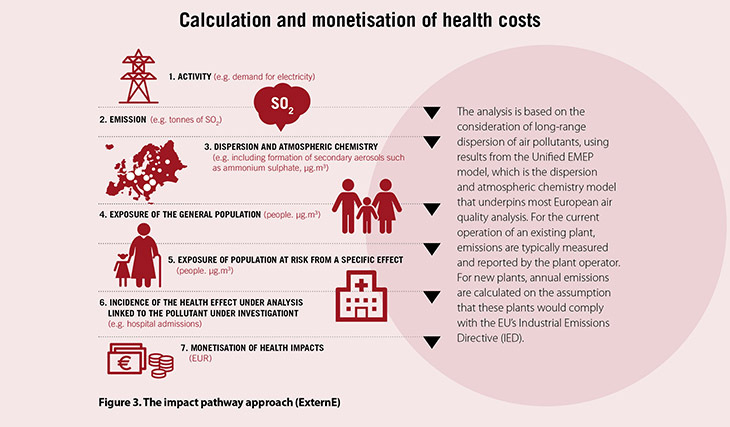 The calculation is made up of costs directly related to air pollution from coal-fired electricity plants. These includes premature deaths, respiratory and cardiovascular hospital admissions, new cases of chronic bronchitis and lower respiratory problems, medication use and days of restricted activity due to ill-health, including lost working days. The analysis is based on consideration of long-range dispersion of air pollutants, using results from the Unified EMEP model, which is the dispersion and atmospheric chemistry model that underpins most European air quality analysis. 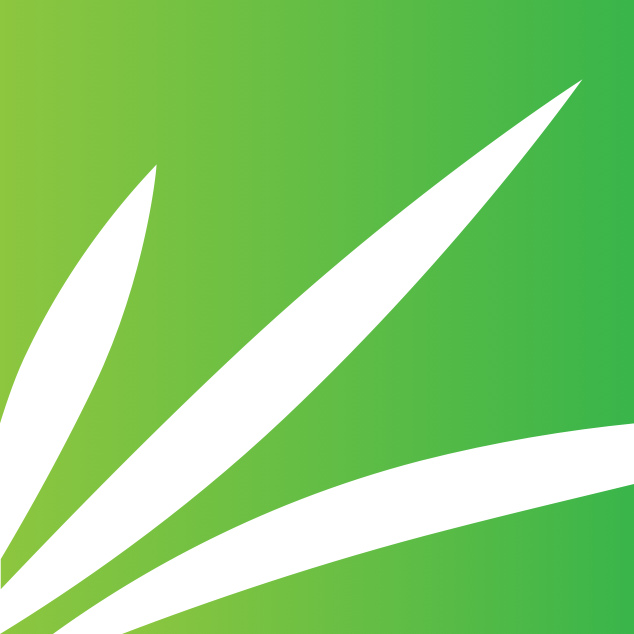 For current operation of an existing plant, emissions are typically measured and reported by the plant operator. Analysis follows the Impact Pathway Approach (IPA) developed in the ExternE Project funded by the EU in the 1990s (Figure 2). The IPA describes a logical pathway from emission through exposure of the population to pollution to impact assessment and finally monetisation. 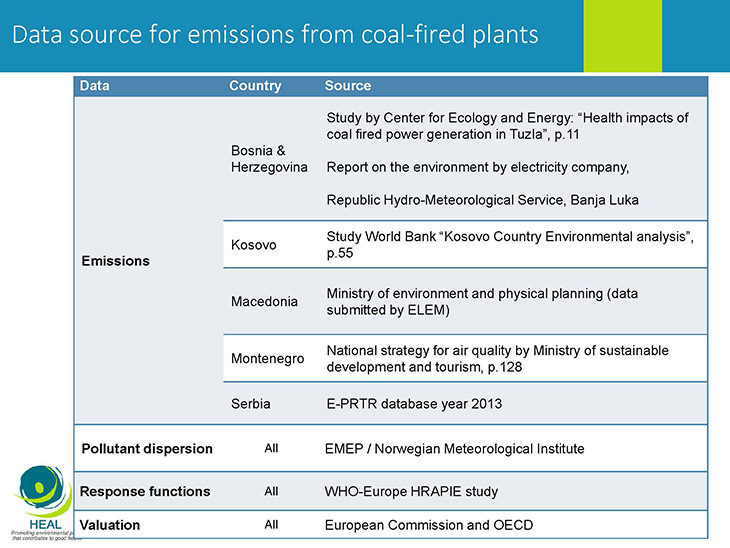 Data source for emissions from coal-fired plants used in this report are presented in Table 1. 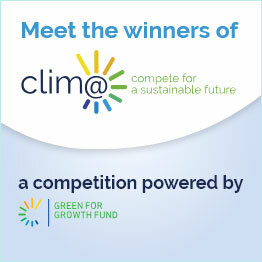 Are the Western Balkan coal plants major contributors of pollution in Europe? The region is heavily dependent on coal and lignite (the most polluting form of coal) for its energy production. Using coal to generate electricity adds very significantly to air pollution, which is a major health risk in the Western Balkans. 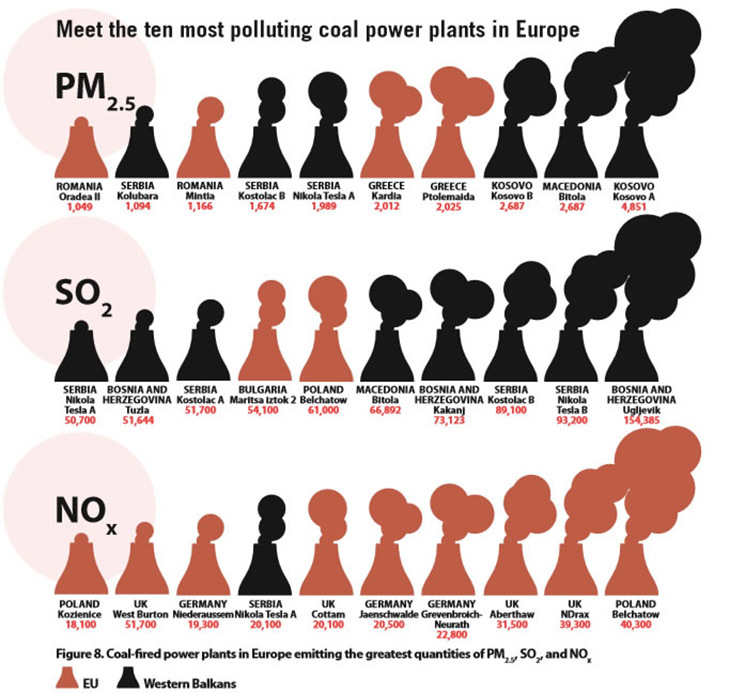 The region is home to seven of the 10 most polluting coal-fired power stations in Europe (Figure 3). Air pollutants in countries of the Western Balkans are at levels that are up to two and a half times above national air quality safety limits and well beyond what the World Health Organization recommends. The combination of coal and other exhaust from industrial, transport and domestic sources in the air robs the countries of health and prosperity. 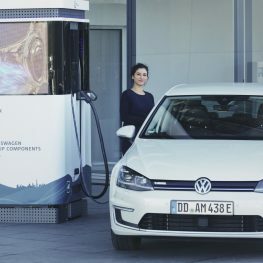 Figures from the World Health Organization (WHO) show the economic cost of early deaths from air pollution in Serbia at 33.5% of national GDP compared with 4.5% in Germany. 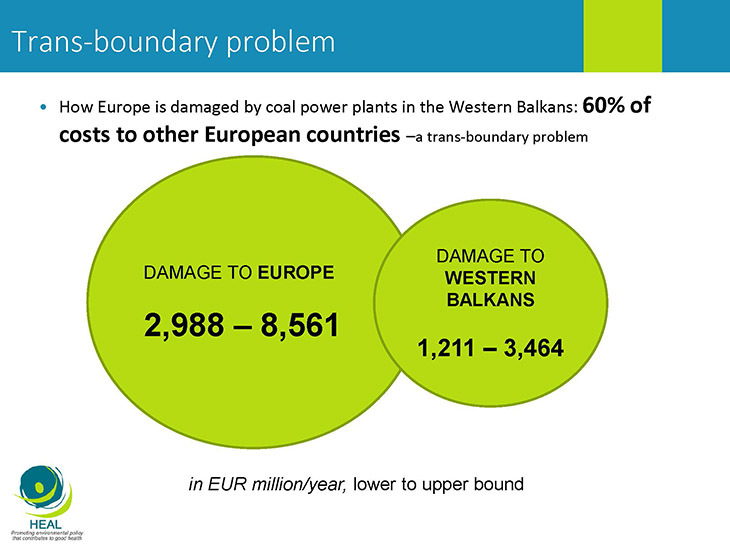 The report shows that a significant proportion of the pollution from the coal-fired power plants in the Western Balkans is borne by the population of the European region due to pollutants being carried in the wind and causing transboundary effects (Figure 4). 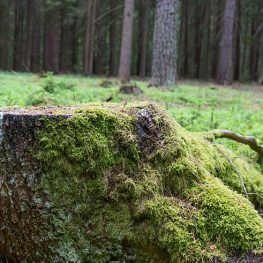 This means that plants in the Western Balkans can make a significant contribution to air pollution in the European region. The EU’s current efforts for cleaner air in member countries should not stop at its borders. EU policy-makers should also put their weight behind pushing for strong air quality and pollution control measures in Western Balkan neighbours. Reducing the level of pollutants in the air would produce very significant health benefits. This potential for a major improvement in population health should be taken into account when developing energy policies. 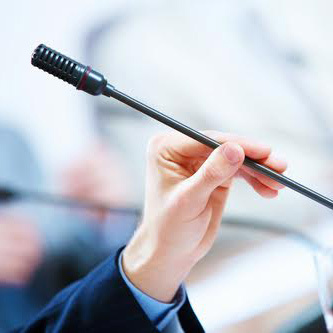 Many health professionals, patients with asthma and heart and breathing problems, as well as grassroots organisations, would also back a move towards clean and healthy alternatives, such as wind and solar power. 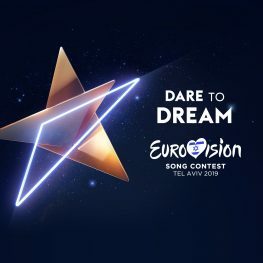 HEAL wants to see an end to coal throughout Europe by 2040 in order to promote health through cleaner air and to reduce carbon emissions that fuel climate change.